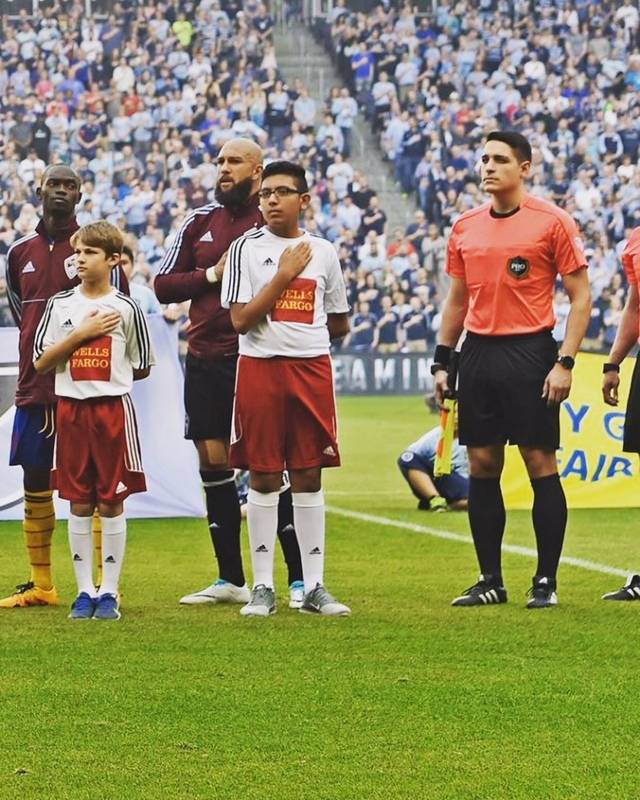 Since working his first professional match in 2013, Nick Uranga has worked his way to the top and has just completed his first season as an MLS Assistant Referee. 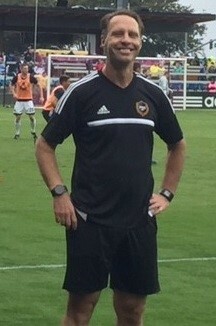 In that time, he has worked 5 playoff matches in the NASL & USL, including the NASL Soccer Bowl this past weekend between the San Francisco Deltas and the New York Cosmos. 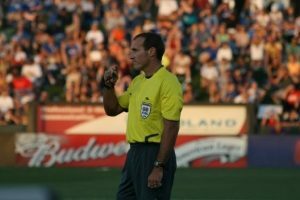 Having gotten the inspiration to be a referee from his father, Nick worked his way up through the youth soccer ranks, attending both USYSA Youth tournaments and Development Academy events along the way. After receiving a handful of Division 2 assignments in 2013 & 2014, the Atlanta-area native has continued to work more and more assignments each year – a product of his hard work and humility. Q: You had two MLS games in 2016 and you have completed your first full season this year. For you, what has been consistent throughout these first games, and what has evolved with you as you get more games under your belt? My first two games in 2016 were some of the most exciting moments as were the first few games of the 2017 season. 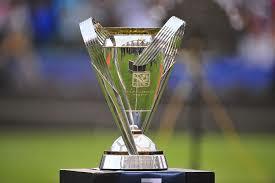 Nothing will match the atmosphere and excitement of your first round of MLS matches. One of the more consistent things I’ve noticed as a dramatic difference in my first full season is the tactful & technical approach as opposed to what I was used to seeing in the lower divisions. Every player on the pitch has a specific element that I’ll make sure to be aware of going into the match. 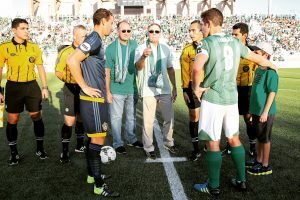 As the season evolves, players start to remember you – what you called/didn’t call in the match before. Building a line of trusted communication; a relationship with players you see often goes a long way. Q: What was your pre-MLS background? 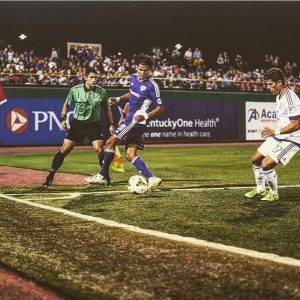 The normal US Youth Soccer / Youth Regionals / Development Academy / D2 leagues progression? How old were you when you started? I started my officiating “career” when I was just 11 years old. My dad used to officiate our local Sunday amateur league. Instead of just watching the matches, I would grab a tree branch to use as my flag and mirror his outstanding AR skills. I started getting used to the movements, sticking with the 2nd to last defender, etc. Every now and then, an AR wouldn’t show up and I could step in. I was one excited 11 year old. 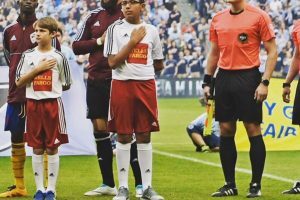 I then started to attend my local Youth State Cup tournament and really fell in love with the idea that refereeing isn’t just for fun – it can be taken seriously. From there, I started to attend Youth Regionals and Development Academy events, and progressively moved up every year to my first D2 match in 2013. Q: What mentors along the way provided valuable guidance as you moved up? I can’t possibly list out every mentor along the way, but I’ve had so many people involved – from assignors giving me the opportunities I needed to progress to other refs who helped with advice. There’s no way I would be here without their help. 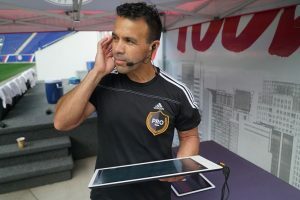 Q: Any tips you can pass along to the referees coming right behind you regarding the transition from working with peers at events, to then working with referees who have been in MLS for 10, 15, or 20 years in some cases? One of the biggest attributes that can help anyone is humility & approaching each game with the mentality of a sponge – soak up as much as possible from those with more experience than you. MLS has a huge range of experience that no one can ever replicate. 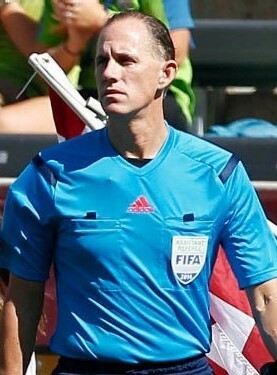 Working with the veteran referees will help you as you continue to mold into an experienced professional referee. Q: Off the field, what do you do for work and what hobbies do you enjoy? I currently work for Ciox Health, a health information management company, as a Talent Acquisition Manager. I’m lucky enough to have my entire team supporting my officiating ambitions. Hobbies include traveling, playing soccer casually, and being with my family. Q: Lastly, is there anything that you wish you had done differently as you progressed through the ranks, or is there something that you maybe put too much value in, in hindsight? Honestly, I wouldn’t do too much differently. I’m very happy with my journey to get here. The most important thing; probably the hardest thing is to remember the balance between work, soccer, and relationships. If one is too focused, the others will struggle. I would always try and recommend a good balance.